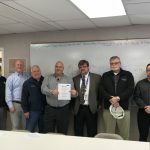 The St. Louis and Missouri Valley Chapters of NECA – the National Electrical Contractors Association – applaud OSHA’s decision to renew a national partnership with industry stakeholders to support best practices to underscore safety for electrical workers who build and repair high-voltage electrical lines. On Oct. 30, OSHA officially renewed the Electrical Transmission & Distribution Partnership, which began in 2004 with a few stakeholder organizations and today includes 17 major electrical industry players from the private sector. It is the only national partnership between employers and OSHA, according to the agency. Mitch Marquardt, a Sachs Electric retiree and industry consultant who represents NECA in the partnership, says that before the consortium launched 14 years ago, OSHA conducted a survey of lineman from across the U.S. to identify areas where updated training was most needed. 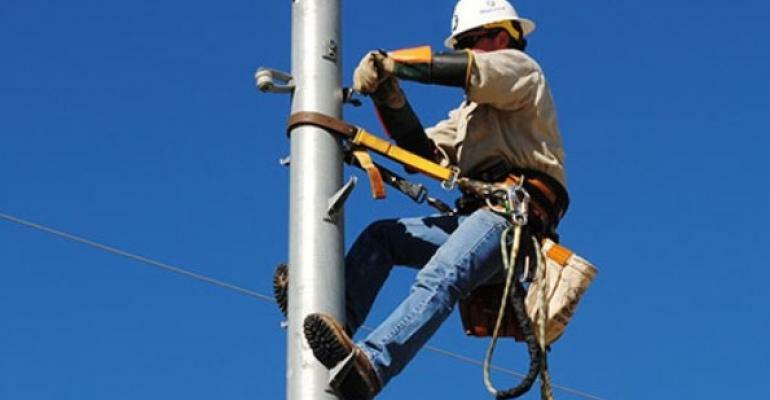 OSHA also held live discussions with lineman from coast to coast, ascertaining specific areas of their jobs where they found themselves most at risk for serious injury or fatality. 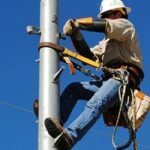 The partnership has also developed an app that lineman can easily access from their smartphones, one that outlines a procedural safety checklist and reminders for those working to restore electrical power in emergency and non-emergency scenarios. “One of the practical resources the app provided during Hurricane Michael in October were safety-related push notices,” Marquardt said. PARIC Corp. is among a bevy of construction managers across St. Louis to cement project safety partnerships with the Occupational Safety and Health Administration. PARIC Safety Director Shannon Niles says for five years now, the construction company has joined with more than a dozen Missouri-based commercial contractors in partnerships with OSHA on all sizes of projects throughout the state. But the newest project partnership, forged in mid-2018, is the first large-scale agreement PARIC has signed with OSHA to govern a project as large in scope as Ballpark Village. The worker safety partnership covers safety-related aspects of all ongoing Ballpark Village projects in downtown St. Louis, for which PARIC serves as general contractor. The four construction projects connected with Ballpark Village span 550,000 square feet of construction including residential, office, retail, restaurant, hotel and entertainment space adjacent to Busch Stadium. PARIC and OSHA negotiated contract particulars, signing the agreement in May. Niles says the scope of the partnership agreement requires project partners to go above and beyond standard safety regulations as stipulated by OSHA. 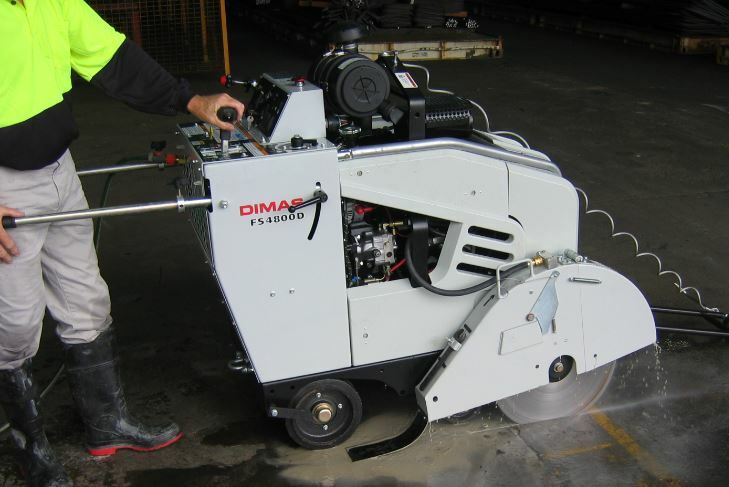 Officials from the Occupational Health & Safety Administration (OSHA) will review the organization’s new final rule to curb lung cancer, silicosis, chronic obstructive pulmonary disease and kidney disease in America’s workers by limiting their exposure to respirable crystalline silica at the SITE Improvement Association’s Investment in Infrastructure Expo on February 27 in St. Charles. It is one of several rules and regulations OSHA will review with attendees to Expo. The federal safety agency estimates that the rule will save over 600 lives and prevent more than 900 new cases of silicosis each year, once its effects are fully realized. St. Louis area contractors are invited to attend and learn about the rule’s key provisions and how to protect their workers. The 2018 Expo will be held at the St. Charles Convention Center and feature an afternoon of breakout sessions describing upcoming projects, an annual economic outlook for the local construction industry, an exhibit hall filled with industry vendors and a reception for all attendees, buyers and vendors. Last year’s event attracted more than 350 attendees and 50 vendors. Tickets for attendees, which will include appetizers and drinks at the reception in the exhibit hall, are $30. Sponsorship opportunities in the exhibit hall are available for equipment dealers and suppliers, as well as for construction, architecture, engineering and other professional services firms. Booth space has sold out. For more information or to purchase tickets, visit www.sitestl.org. SITE is an independent construction contractor group representing more than 200 contractors and businesses primarily in the concrete, earthmoving, landscaping, asphalt paving, highway/bridge, sewer/utility and specialty construction segments. It represents the interests of its members in negotiations with labor unions, promotes political and legislative agendas and provides safety and technical training for members. SITE has been in continuous operation since 1966. For more information, visit www.sitestl.org. 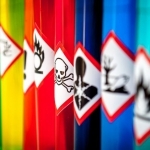 The Occupational Safety and Health Administration (OSHA) and the American Chemistry Council (ACC) established a two-year alliance [ https://www.osha.gov/dcsp/alliances/acc/acc.html ] recently to raise awareness of how workers are exposed to diisocyantes, and promote safe practices for their use in the polyurethane industry. Isocyanates [ https://www.osha.gov/SLTC/isocyanates/index.html ] are raw materials used to make polyurethane products, such as insulation, car seats, foam mattresses, shoes, and adhesives. Exposure to isocyanates can cause irritation of the skin and mucous membranes, chest tightness, and difficulty breathing. More serious health effects include asthma and other lung problems. 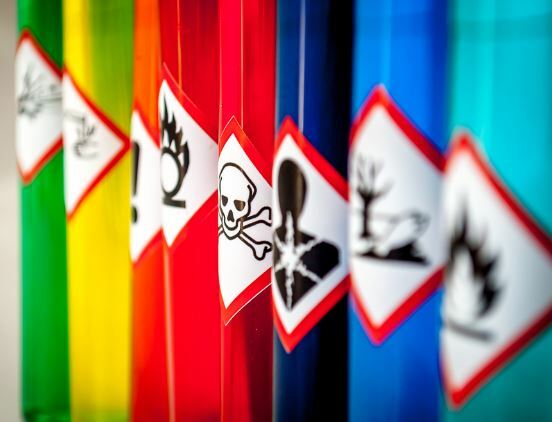 The alliance calls for the creation of a web-based training program on the safe use of chemicals and the potential routes of exposure to users. It will also develop guidance on medical surveillance and clinical evaluation techniques for employers and workers using the chemicals. The agreement also calls for best practices seminars on health and safety procedures for OSHA, On-Site Consultation, and State Plan staff. OSHAs new alliance with ACC will help ensure that employers and employees who work with the identified chemicals better understand the health hazards associated with these potentially hazardous chemicals, and the methods to control employee exposures, said Deputy Assistant Secretary of Labor for Occupational Safety and Health Loren Sweatt. The ACC comprises the Center for the Polyurethanes Industry (CPI), and the Diisocyanates and Aliphatic Diisocyanates panels. Members of these groups include manufacturers and distributors of chemicals and equipment used to make polyurethane. CPI serves as the voice of the polyurethanes industry, covering more than 220,000 workers nationwide. Through its Alliance Program [ https://www.osha.gov/dcsp/alliances/index.html ], OSHA works with unions, consulates, trade and professional organizations, faith- and community-based organizations, businesses and educational institutions to prevent workplace fatalities, injuries, and illnesses. The purpose of each alliance is to develop compliance assistance tools and resources and to educate workers and employers about their rights and responsibilities. 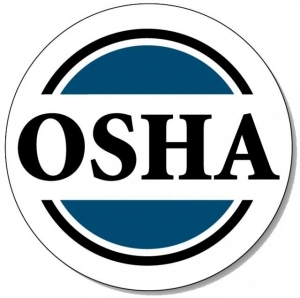 Under the Occupational Safety and Health Act of 1970, employers are responsible for providing safe and healthful workplaces for their employees.OSHAs role is to ensure these conditions for Americas working men and women by setting and enforcing standards, and providing training, education and assistance. For more information, visit www.osha.gov [ http://www.osha.gov/ ]. The Occupational Safety and Health Administration (OSHA) today issued a Notice of Proposed Rulemaking [ https://www.gpo.gov/fdsys/pkg/FR-2017-08-30/pdf/2017-18441.pdf ] to extend the employer’s responsibility to ensure crane operator competency and enforcement for crane operator certification to Nov. 10, 2018. OSHA issued a final rule in September 2014, extending the deadline by three years for crane operator certification requirements in the Cranes and Derricks in Construction standard. The final rule also extended by three years the employer’s responsibility to ensure that crane operators are competent to operate a crane safely. The agency is now proposing an extension of the enforcement date to address stakeholder concerns over the operator certification requirements in the Cranes and Derricks in Construction standard. Comments may submitted electronically at http://www.regulations.gov [ http://www.regulations.gov/ ], the Federal e-Rulemaking Portal or by facsimile or mail. See the Federal Register notice [ https://www.gpo.gov/fdsys/pkg/FR-2017-08-30/pdf/2017-18441.pdf ] for submission details and additional information about this proposed rule. Comments must be submitted by Sept. 29, 2017. The U.S. Department of Labor’s Occupational Safety and Health Administration (OSHA) will hold the second of two meetings Aug. 28, 2017, in New Orleans, LA, to continue the discussion on the future direction of the agency’s Voluntary Protection Programs (VPP). The discussion will include a review of the July 17, 2017, meeting along with comments and suggestions from the public on potential avenues for action. The meeting will be held Aug. 28, 1 to 4 p.m. in Great Hall B of the Ernest N. Morial Convention Center. To attend, please register by Aug. 23, 2017. Attendees can choose from several levels of participation in the discussion, which will cover general guidelines and key issues that were raised in public comments. The comment period closes Sept. 15, 2017. OSHA adopted the VPP on July 2, 1982; the program emphasizes cooperative action among government, industry, and labor to address worker safety and health issues and expand worker protection. Death and injury from mishaps in trenches spiked this year after a multi-year downward trend. 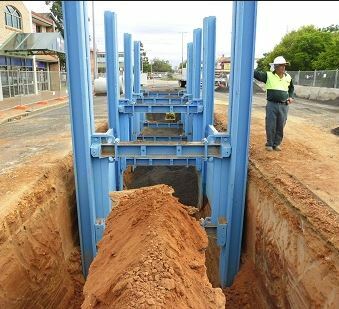 More construction workers died in trenches this year than in any of the previous five years. Nationwide, 23 workers were killed by collapsing trenches this year, compared to 11 killed in 2015. Another 12 workers suffered injury. Trench collapses injured three workers in metro St. Louis so far this year. According to news reports, the St. John Fire Department responded to a report of a trench collapse at an MSD construction site in north St. Louis County on April 14. They pulled a worker out of a trench, after which she was taken to a hospital with non-life injuries. On May 3, St. Louis firefighters rescued a man from an 18-foot-deep trench in St. south Louis after a collapse trapped him for almost five hours. And on July 15, St. Louis firefighters rescued a construction worker from a 20-foot-deep trench on another MSD construction site after mud and dirt buried him up to his waist. He was trapped for an hour. In a sense, all three of those workers were lucky. According to OSHA, trench collapses are rarely survivable. One cubic yard of soil can weigh up to 3,000 lbs. – the weight of a small automobile – giving a worker in a trench little chance of survival when walls of soil collapse. The Occupational Safety and Health Administration is accepting nominations for eight new members to serve on the 15-member Advisory Committee on Construction Safety and Health. Nominations will be accepted from those interested in representing employee (3), employer (3), public (1) and state safety and health agency (1) groups. Nominations may be submitted at www.regulations.gov, the Federal eRulemaking Portal. Submissions may also be sent by mail or facsimile. See the Federal Register notice for details. The deadline for submissions is Jan. 27, 2017. 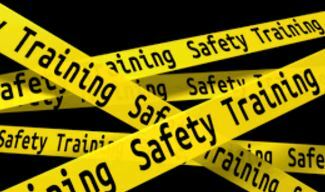 The Occupational Safety and Health Administration has released a set of Recommended Practices for Safety and Health Programs to help employers establish a methodical approach to improving safety and health in their workplaces. The recommendations update OSHA’s 1989 guidelines to reflect changes in the economy, workplaces, and evolving safety and health issues. The recommendations, according to OSHA, feature a new, easier-to-use format and should be particularly helpful to small- and medium-sized businesses. Also new is a section on multi-employer workplaces and a greater emphasis on continuous improvement. Supporting tools and resources are included. The programs are not prescriptive; they are built around a core set of business processes that can be implemented to suit a particular workplace in any industry. OSHA has seen them successfully implemented in manufacturing, construction, health care, technology, retail, services, higher education, and government. Key principles include: leadership from the top to send a message that safety and health is critical to the business operations; worker participation in finding solutions; and a systematic approach to find and fix hazards. The OSHA recommendations include seven core elements for a safety and health program: management leadership; worker participation; hazard identification and assessment; hazard prevention and control; education and training; program evaluation and improvement; and communication and coordination for host employers, contractors and staffing agencies. 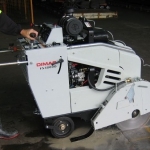 The recommendations are advisory only and do not create any new legal obligations or alter existing obligations created by OSHA standards or regulations. OSHA, TekSolv – American Allied Safety Council, Southwestern Illinois Building Trades Council, and Council of Owners of Construction Associates Inc. have established an alliance that will provide safety trainings, safety resources, and information to roughly 10,000 skilled training workers in Southwestern Illinois. 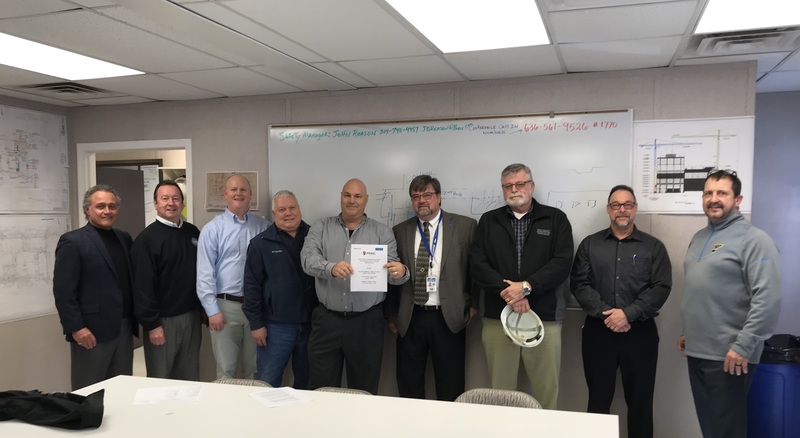 TekSolv administers its American Allied Safety Council trainings to the Council of Owners of Construction Associates Inc. whose members then employ skill trade workers through the Southwestern Illinois Building Trades Council. Through the development and sharing of information on the importance of prevention of workplace hazards, OSHA and the partners will collaborate to encourage worker safety and health in the construction industries. This also includes small businesses and apprentice training programs. The focus for these trainings will be on common hazards faced by workers in the industry such as falls, electrical, struck-by, fire, confined spaces, and machine safety. The agreement will further promote agency’s rule making, enforcement initiatives, training and education, outreach and communication, and safety campaigns. All allied partners expect this agreement to be positive and beneficial for Southwestern Illinois. About TekSolv TekSolv, headquartered in Newark, Delaware, provides a unique range of comprehensive professional service solutions that meet the demand of a legion of industrial markets, including safety, rescue, and training services; systems integration and oilfield automation services; engineering consulting; and environmental monitoring and occupational health services. About TekSolv AASC The American Allied Safety Council provides trainings for all services in a convenient location in Southwestern Illinois. The AASC is endorsed by local area building trades, is supported by OSHA through the Partnership Alliance and offers fully customizable program solutions. For more information on TekSolv and the AASC, visit teksolv.com or call 866.TekSolv.